According to Greek authorities, plans are underway to begin the construction of a pre-departure camp on the island of Chios, despite protests from locals and rising tensions in the Aegean hotspot. The exact site for the camp will be determined by May 20, authorities announced in Monday. Protests by Chios’ residents against building new migrant pre-departure centers on the island has resulted in the existing camps becoming even more overcrowded. According to ekathimerini.com, sources at Citizens’ Protection Ministry have pointed out that one of the main problems facing Chios is the fact that they are receiving a substantial amount of new arrivals to the island because it is lacking the so-called “pre-departure” center, which is where migrants who have had their asylum request to stay in the EU rejected would be sent prior to being returned to Turkey under the EU-Turkey migrant deal. This week alone around 200 new migrants arrived on Chios, according to government figures. Also not helping the situation is that since the beginning of the year, there has been a significant number of new arrivals on the Aegean islands from countries without a refugee profile such as Pakistan, Morocco, Afghanistan and Bangladesh the Citizens’ Protection Ministry said earlier this year. This means that the process for sending migrants back to Turkey who arrive in Chios and have their asylum rejected is not being promptly executed. When pre-departure camps are set up on Chios, they will be closed-structure facilities, much like detention centers, with a capacity of around 150-200 people. 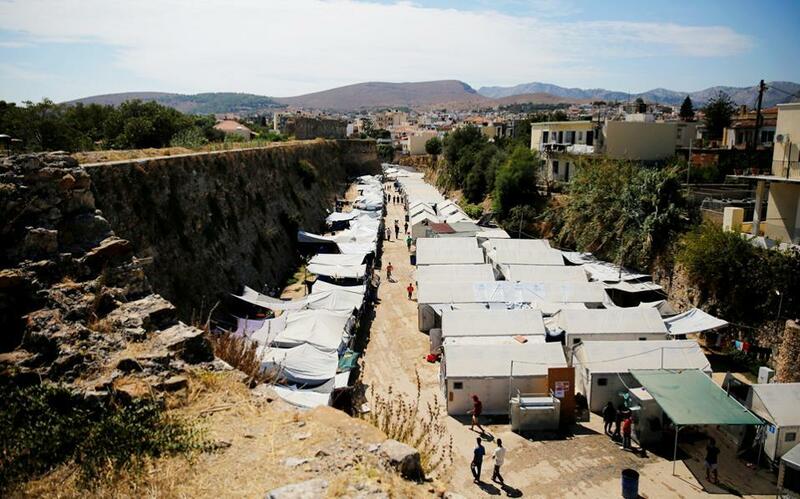 Officials believe that such camps will help relieve some of the pressure on the Aegean islands’ migrant camps which have been operating at over capacity for some time.